1. Arrange the sliced, quartered and halved tomatoes on a platter. 2. Drizzle with a generous amount of Dulcet Essential Balsamic Sauce & Dressing. 3. Top with crumbled bleu cheese and freshly ground black pepper. Serve with your favorite crusty loaf. 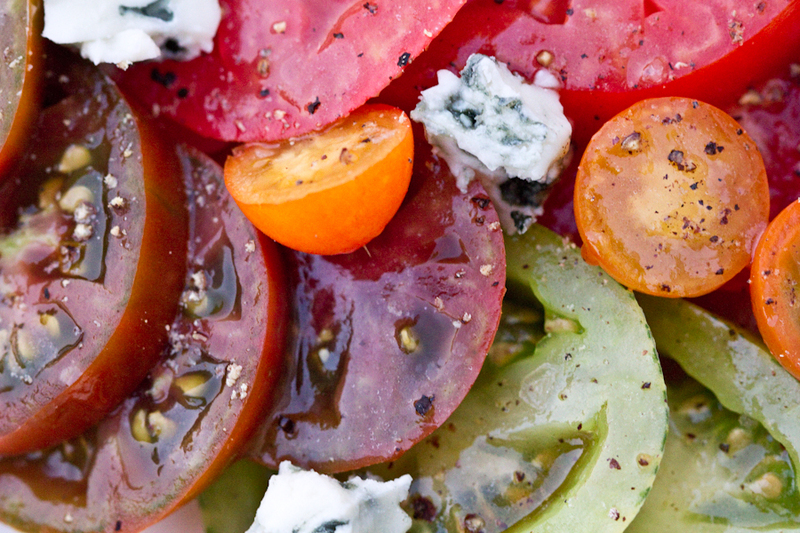 From our test kitchen: When the tomatoes are in season, there is nothing like a fresh tomato salad! We recommend using a variety of tomatoes in various colors and sizes. Add some cherry tomatoes too.